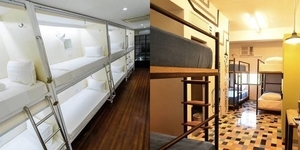 In our effort to keep ourselves abreast with the latest consumer products, and help us anticipate changing consumer behavior, we scrounge the Internet a lot looking for new things. 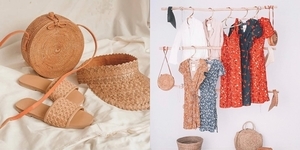 We especially look for, but not exclusively, items that can connect to the Internet, and from time to time we actually find things that we have tried or bought, liked and found useful. Cool Finds Giveaway is ClickTheCity's new giveaway series that will showcase items and lifestyle gadgets that fits perfectly with the lifestyle of ClickTheCity users. 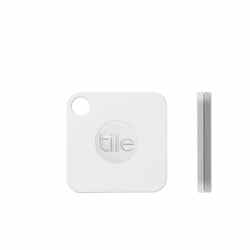 And Tile, the tiny Bluetooth tracker that we really like, would be the first of hopefully many more. 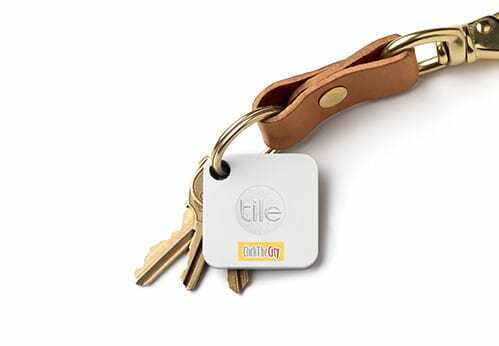 Tile is a tiny Bluetooth tracker that helps you find things. Just attach, stick, or hook Tile to things important to you, and you're set! The Tile connects to your phone via Bluetooth, and with the Tile App installed on your phone, just press "Find" and your Tile will emit a sound for you to easily find it. It also works the other way around -- using Tile to find your phone. Just press the Tile and your phone will ring, even if it's set on silent mode. Like other trackers, the connection of phone and Tile is via Bluetooth. For the phone and Tile to find each other, they should be within range, around 100 feet of each other. The magic happens with Tile's community of users--this is where you can find your lost items even if they are not within your phone's Bluetooth range. 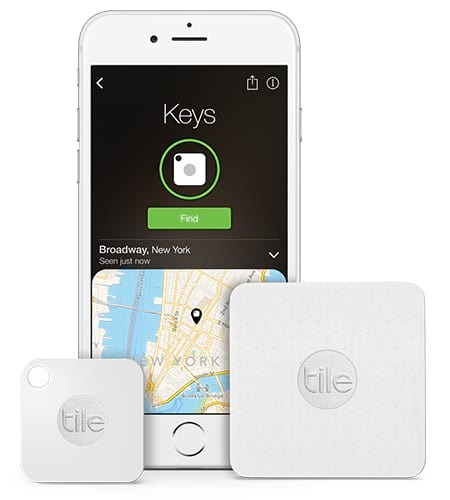 Anyone that installs a Tile App automatically becomes part of Tile's lost & found search team. A user that lost an item and presses "Notify when found" places a notice to the Tile community, and this happens behind the scenes anonymously. As soon as your lost item comes within Bluetooth range of a Tile community member, you will get a notification with a map that shows the location where the item was found. As more and more people use Tile, the higher the chances for everyone to find lost items. We have been using Tile for over a year now. We hooked up one of the Tiles with the car keys and instructed everyone to install the Tile app, and make sure Bluetooth and Internet connection are on. Aside from finding lost items, this has been how we mainly use Tile -- keep track of the car's location and the person driving the car for our peace of mind. The battery can’t be replaced nor recharged. The only option is to buy a new one via reTile program at a discounted price. One of the four Tiles we purchased lost power a few months before the guaranteed one year. They do offer free replacements for such incidents. Difficult and costly to re-Tile or replace defective Tile since it is not available locally (as far as we know). You can share your Tile with only one other user. Just Bluetooth, no Wifi connectivity. Adding Wifi connectivity would definitely increase coverage range inside the house. Also, allows more ways for the Tile to be found. To join our Cool Finds Giveaway for Tile: just rate, review, and/or #lovetag on ClickTheCity any movie currently showing in cinemas! Please see Mechanics below for more details. To earn a raffle entry, just rate, review, and/or #lovetag on ClickTheCity (website, mobile site or app) any movie on Now Showing list. Three (3) lucky winners with a valid online entry will be randomly selected. The rating, review, or #lovetag should be available during raffle draw. Promo starts on July 5, 2017, and ends on September 30, 2017. Submissions before and after these dates would not be included in the raffle. 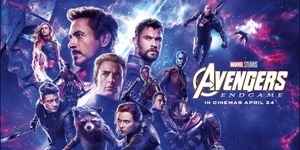 Each participant is encouraged to use only one valid ClickTheCity account, multiple user registrations will be disqualified. Winners will be randomly selected at the end of the promo and will be notified by e-mail. Winners should claim their prizes within the specified dates indicated in the e-mail notification, otherwise, these would be forfeited in favor of Surf Shop, Inc. Winners can claim their prizes at Surf Shop Office during office hours (details to be emailed to winners).